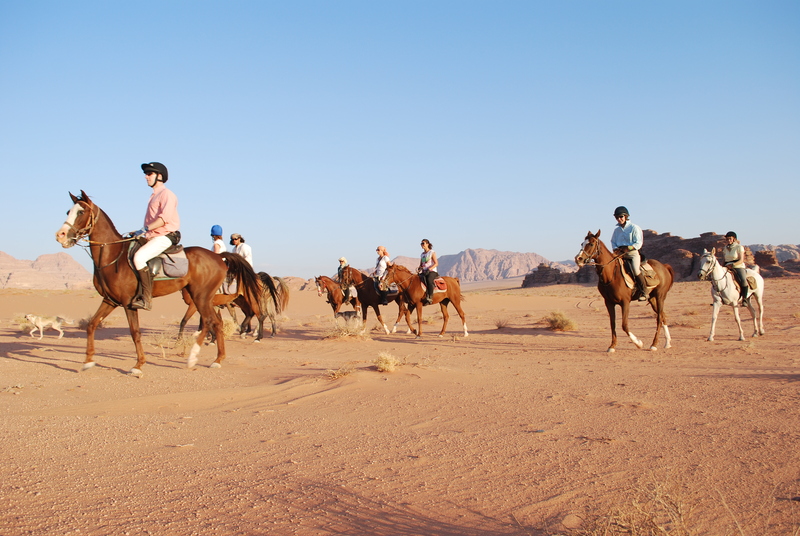 Visiting Jordan highlights ( Petra, Dead Sea, Mount Nebo… ) and horse riding in the Wadi Rum desert. 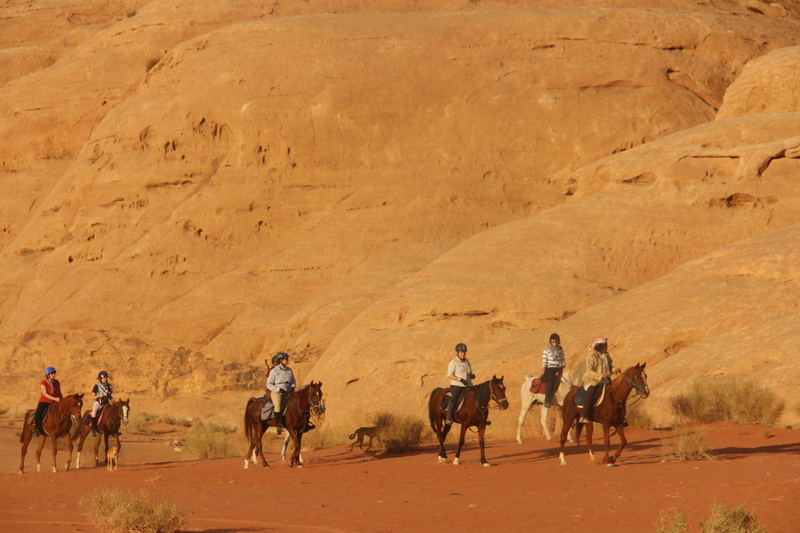 10 days in Jordan visiting Petra, Amman and the Dead Sea, with 6 days horse riding in Wadi Rum desert. Evening arrival at the airport, where your driver will meet you. Then we will drive you to Madaba, around 20 mn drive. Night in Madaba in a 3* hotel. 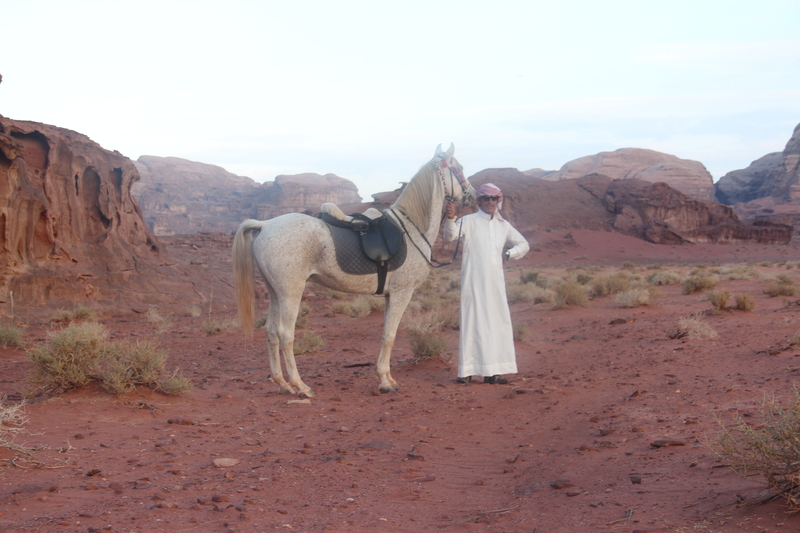 After lunch our bus will collect you from our stables and drive you to Madaba ; dinner and night in a 3* hotel. 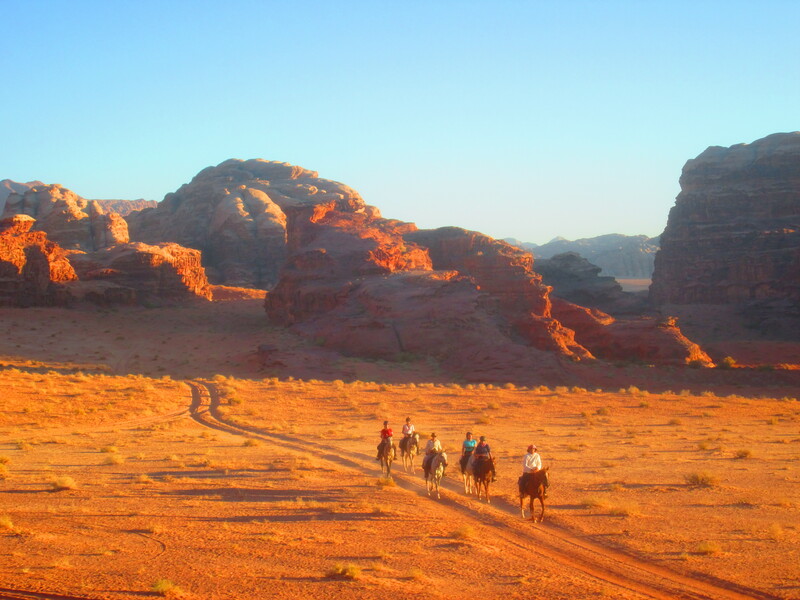 After breakfast, your driver will collect you from the hotel to propose you a city tour of Amman old city, visiting the famous Citadelle and the Roman theatre ; later, you will enjoy an afternoon at leisure at the Dead Sea Beach, and finally head to the Mount Nebo to admire the view on the holy Land. Last night at your hotel in Madaba. For further informations (price, booking conditions, confirmed departures…), please contact us at bookings@jordantracks.com. You can book the 10 days programme, or only the 6 days-ride.